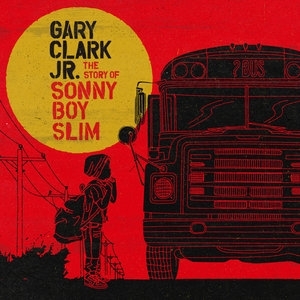 There was a clear path laid out for Gary Clark Jr. If he’d wanted, he could have allowed himself to be crowned the young, African-American savior of 21st-century blues guitar. After all, the guy came up in the clubs of Austin, apprenticed under Jimmie Vaughan (brother of Stevie Ray) and was welcomed as a hero among legends at Eric Clapton‘s Crossroads Guitar Festival. But almost as soon as Clark stepped into the national spotlight, he began signaling that, though he knew the rules and expectations of the overwhelmingly white blues-purist and classic-rock scenes, he wouldn’t be following them. Clark has participated in celebrations of contemporary black musical innovation, like Essence Fest, the BET Awards and Afropunk Festival, even as he’s made return appearances at Crossroads. And he not only employed a deliberately broad and with-it stylistic palette on his major-label debut, Blak And Blu — he also followed the official release with a mixtape version, featuring gifted Mississippi MC Big K.R.I.T., a project that finally landed Clark’s music on important hip-hop blogs. More and more, Clark is claiming that freedom himself. On The Story Of Sonny Boy Slim, he’s got a firm handle on the narratives he wants to unfurl, the roles he wants to embody and the sounds he wants to play up. The album title came from both the guitar-prodigy character he played in the 2007 film Honeydripper and a family nickname, but he makes primal concerns seem at once colossal, socially incisive and personal, so that it hardly matters where autobiography ends and invention begins. Plenty more sonic experimentation and sophistication enlivens songs like “Wings” — with its psychedelic vocal effects and spiky guitar outbursts adrift over rigid, loop-like drum patterns — and the Quiet Storm-ish, keyboard-cushioned “Down To Ride.” And all this blues-bending expansion is no accident. After recording his previous album with big-name producers, Clark elected to produce himself this time, holing up in a hometown studio so that he could push his evolution forward on his own thrilling terms.